On December 2, 2004, Gwen Olsen’s niece Megan committed suicide by setting herself on fire—and ended her tortured life as a victim of the adverse effects of prescription drugs. 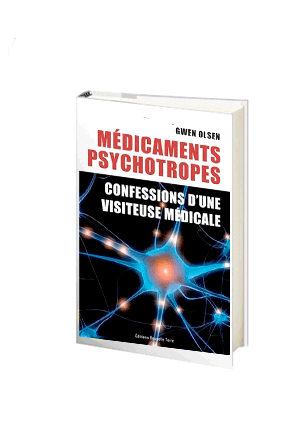 Olsen’s poignant autobiographical journey through the darkness of mental illness and the catastrophic consequences that lurk in medicine cabinets around the country offers an honest glimpse into alarming statistics and a health care system ranked last among nineteen industrialized nations worldwide. As a former sales representative in the pharmaceutical industry for several years, Olsen learned firsthand how an unprecedented number of lethal drugs are unleashed in the United States market, but her most heartrending education into the dangers of antidepressants would come as a victim and ultimately, as a survivor. 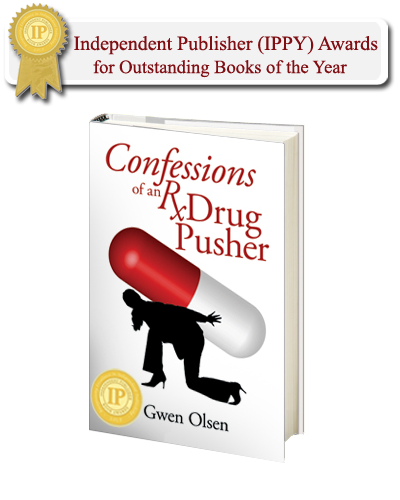 Rigorously researched and documented, Confessions of an Rx Drug Pusher is a moving human drama that shares one woman’s unforgettable journey of faith, forgiveness, and healing.